Quality tested machine. Seal a bag of water no problem. Availability: Temporarily out of stock. Click on the "Back Order" button below to reserve yours now! We will ship it to you as soon as it is available. 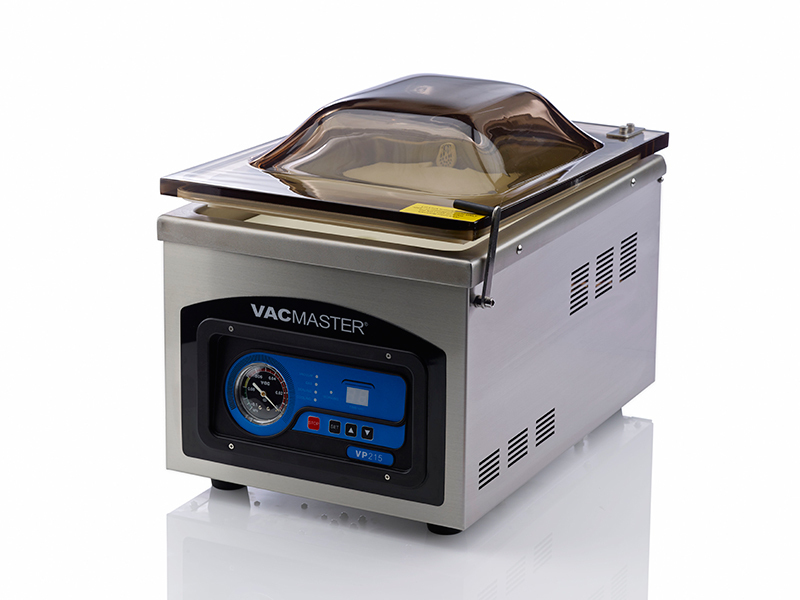 This VacMaster Chamber Vacuum Sealer (model VP215) has been designed to efficiently seal dry, stable products and also to seal liquids and liquid-rich products (like soups, stews and sauces) � which is to say it can vacuum package just about anything. 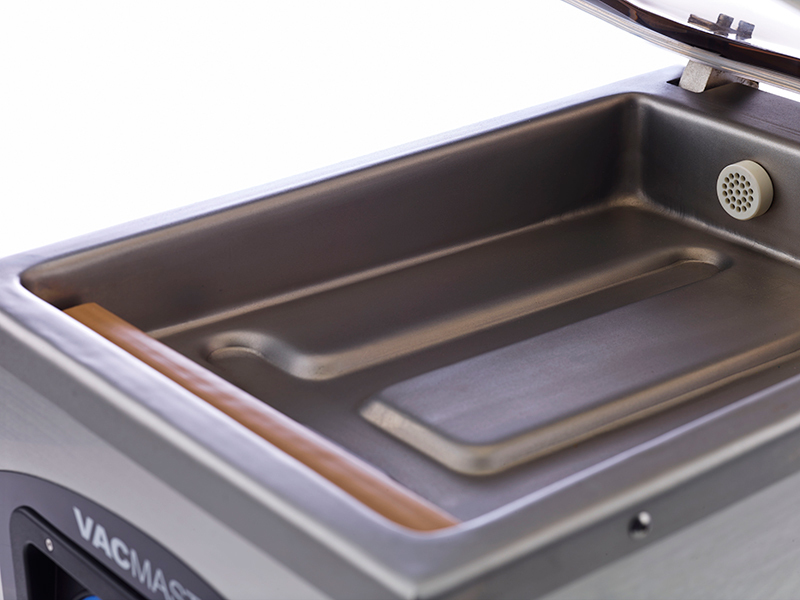 As is well known, vacuum sealing increases a foodstuff�s shelf life as much as five times longer than other methods of storage and preservation. 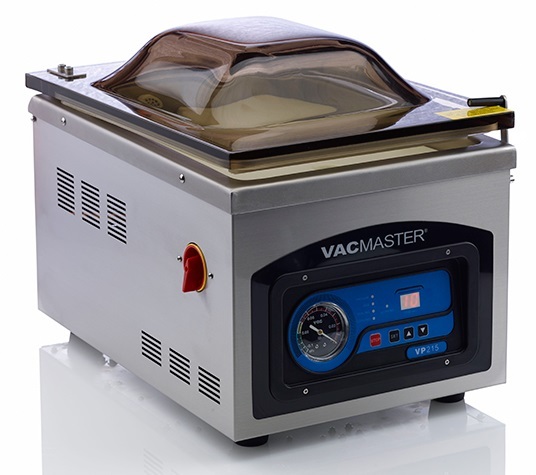 This vacuum sealer has easy-to-use operational controls and a gauge that lets you monitor the pressure in the chamber during operation. 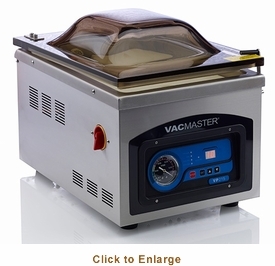 Ideal for smaller commercial concerns and for home use (great for hunters and fishermen) this machine will accommodate vacuum bags up to 10� x 13�. Purchase of this unit includes seventy-five 3-Mil pouches (25 each of 6" X 10", 8� x 12� and 10" X 13") as well as a pair of sturdy filler plates, an instruction guide and a maintenance kit with some easily-replaceable �wear items�. 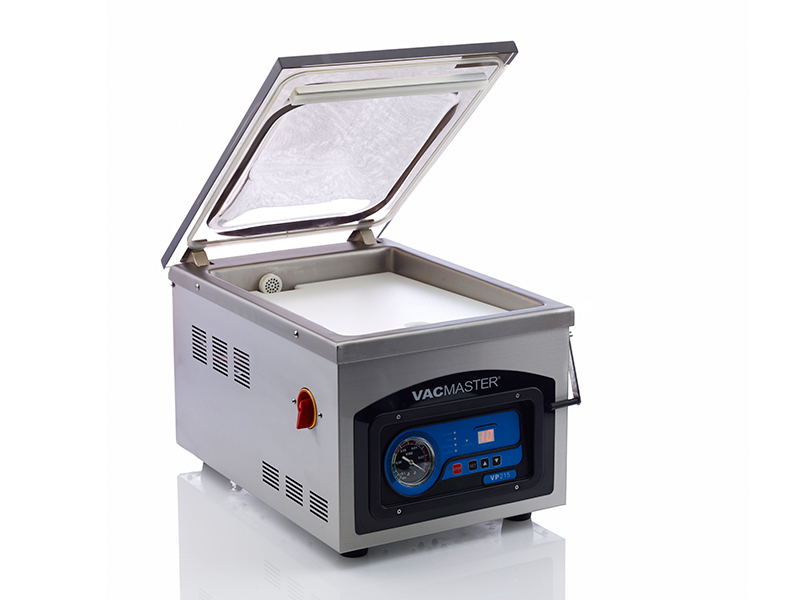 With its commercial grade .25-Hp rotary oil pump, the VacMaster Vp215 can provide prolonged, continuous use, delivering strong, consistent vacuum seals every time.